Custom 18k white gold and diamond stackables. 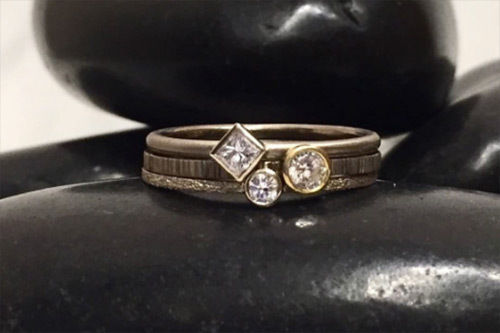 Top triangle diamond band: $975. Lower Smaller diamond band: $375.